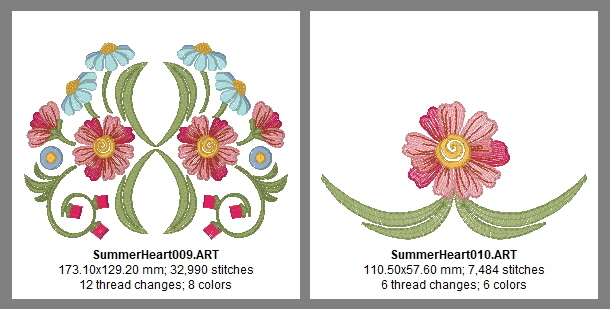 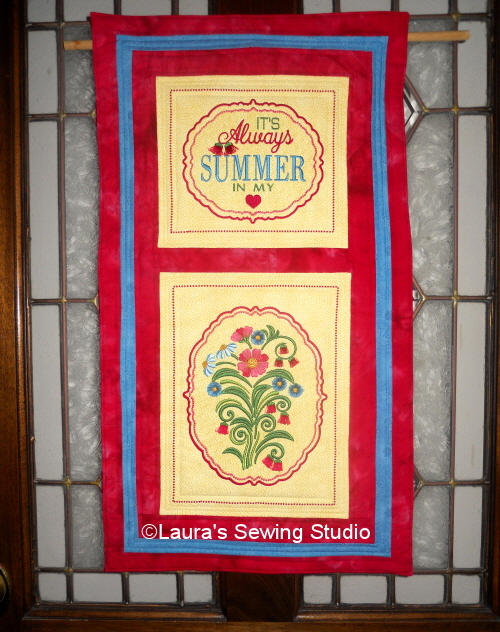 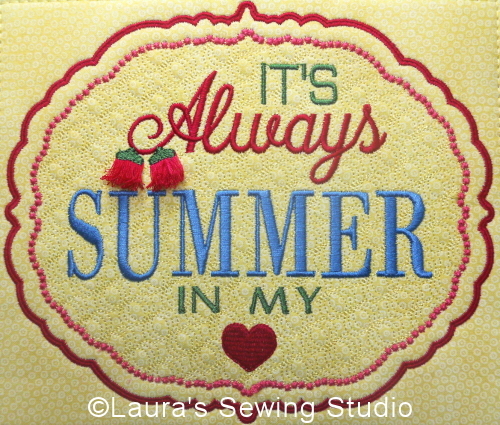 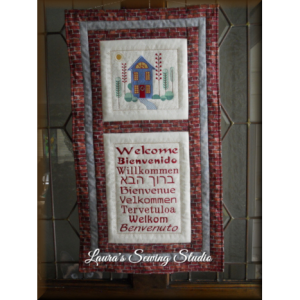 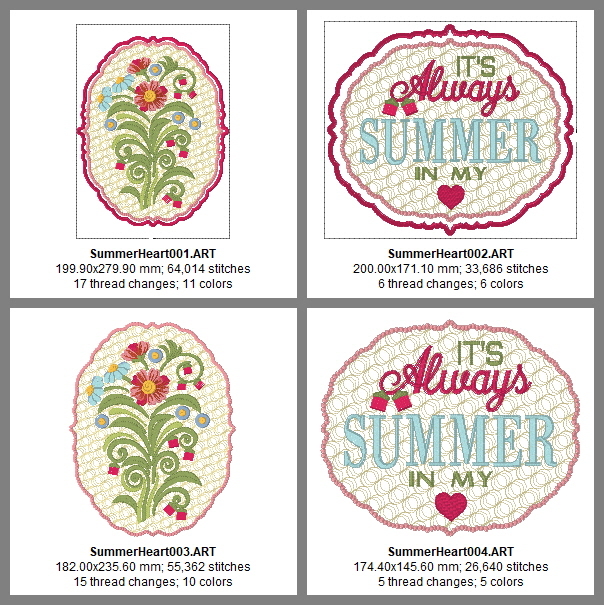 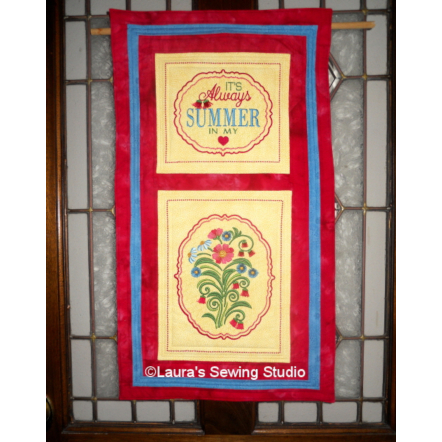 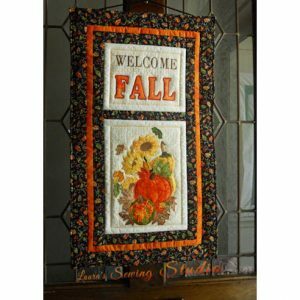 Summer in My Heart is a quilt banner project based around two major designs that can be sewn with an 8×11 hoop. 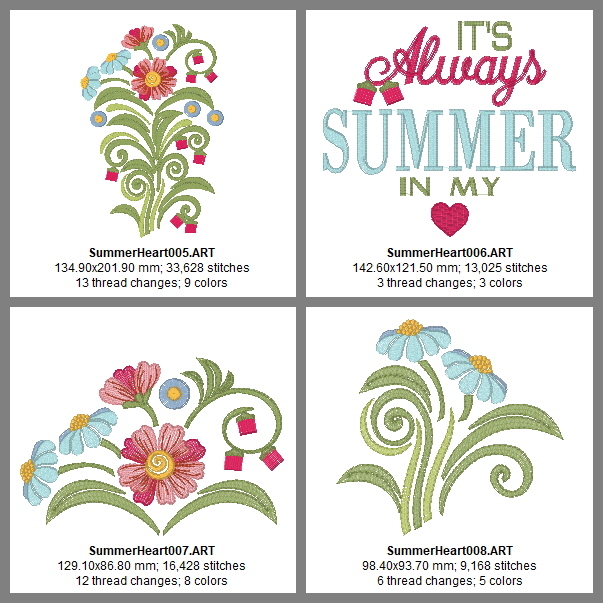 However, in the interest of getting the most mileage possible from the primary designs, I’ve deconstructed them into their eight principle designs that you might construct your own vision of Summer in your heart. 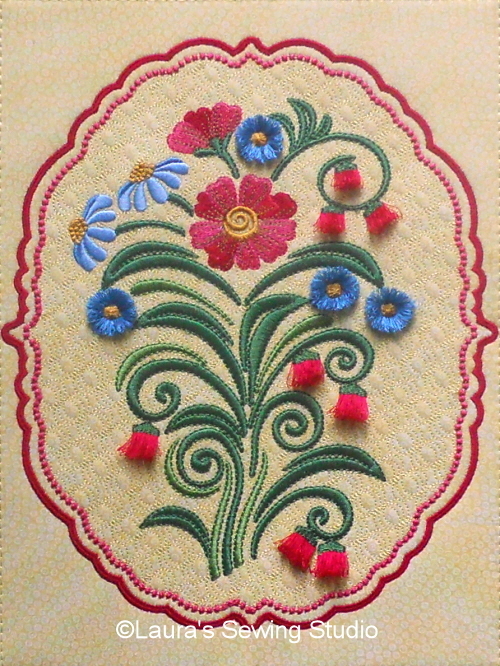 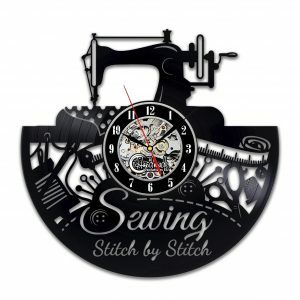 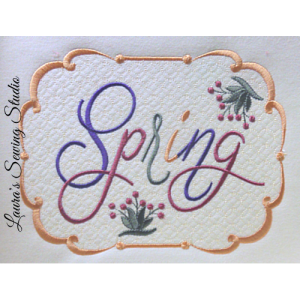 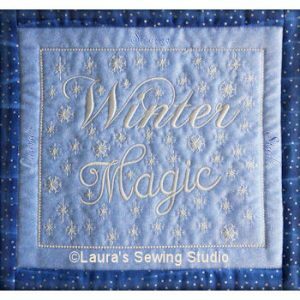 Of course, in keeping with my machine embroidery quilt series, the primary designs incorporate a background quilting sequence to help finish off the project, while still in the hoop, should you wish to use them as such.